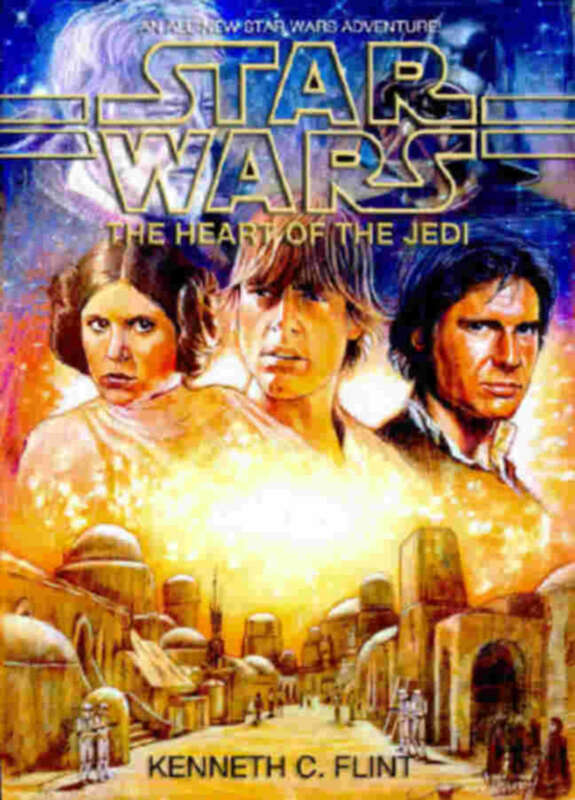 A sequel to “Crimson Bounty,” published in the Star Wars Adventure Journal #14, "A Certain Point of View," published in the Star Wars Adventure Journal #8, and “Crimson Jailbreak,” published in the Star Wars Adventure Journal #5. 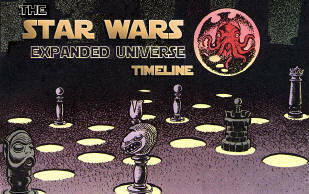 “The Contact” was intended for publication, likely in the Star Wars Adventure Journal #18, but WEG lost the Star Wars license and went out of business. Sweat beaded on Kaj Nedmak’s brow. This section of Angjon was not on any tourist maps, and for good reason. The smuggler eyed the dimly lit alley warily. Windows within reach appeared to be locked tightly against unwanted intruders, and doors were undoubtedly bolted. Walking slowly into the deepening shadows, Kaj swiped a gloved hand across his forehead. He told himself again that running guns for the Rebel Alliance made perfect sense. But as the alley seemed to swallow him, he began to wonder if the information he’d won in a sabacc game—in lieu of credits—would actually pay off. Perhaps his partner Crimson had been right. They’d had no luck attempting to contact the Alliance. Every lead had turned into a dead end. Why would this time be any different? A movement at the far end of the alley caught Kaj's eye. Three silent figures moved with a purpose that could only mean trouble. Knots clenched Kaj’s gut. Lights flicked on in a second-story window—just enough light to glint off white armor. Stormtroopers! "Stang!" Kaj cursed to himself. "A set-up." Kaj buried himself in the shadows. Something brushed against his boot. Glancing down, he spotted a jaykah scurrying toward a pile of trash heaped against the wall a few meters away. The clicking of the small furry creature’s claws against the old stone pavement made Kaj wince. He wasn’t surprised when the stormtroopers turned toward the noise and opened fire. A burst of blaster fire raked the trash heap. The jaykah shrieked out in pain. Teeth bared, it leaped from its hiding place and charged its attackers. Standing their ground, the Imperials blasted the poor creature to pulp. 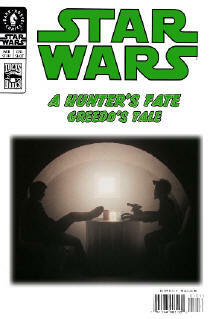 Lights flicked on in a handful of windows and illuminated the scene in a yellowish glow as the stormtroopers advanced. Kaj ducked into a doorway, his breathing jagged and fierce. He glanced back the way he’d come. Too far. The chance of his reaching the corner before the troopers found their mark would be like drawing a pure sabacc in the first round. That left one option. Kaj eyed his adversaries. He hoped to get off a blast before they noticed him, but a shot pinging off the wall centimeters above his head told him his luck had run out. Kaj opened fire, his first volley right on target. One Imperial down. The other stormtroopers answered Kaj’s blast with a barrage of gunfire. The noise reverberated through the alley and mingled with another familiar sound—the rev of an engine. The stormtroopers heard it, too. Kaj peered past them just as the XP-38 roared up the alley. With a blaster resting atop the landspeeder’s windshield, the maniacal driver opened fire. One of the troopers fell as a torrent of gunfire thundered through the narrow street. Shots suddenly erupted behind Kaj and a blast whipped past his head. He jerked around and spotted two more stormtroopers hugging the alley wall and moving rapidly in his direction. Kaj winged one in the shoulder. His second shot sent the trooper careening head-first into the pavement. The man’s companion slipped into a narrow doorway and fired several more rounds. The exchange of blaster fire at Kaj’s back swelled, then just as suddenly ceased. Hoping that the XP-38's driver had won that round, Kaj rolled into the alley to get off one clear shot. His firelight lit the shadows, and a moment later his final opponent slumped to the ground. “Come on!” a familiar voice shouted from the landspeeder. Scrambling off the ground, Kaj ran toward the speeder, hurdled the prone bodies of the stormtroopers, and leapt into the vehicle. “Thanks.” Kaj nodded as the driver hit the accelerator and barreled out of the alley. He glanced sidelong at the slight figure next to him and grinned. A few strands of red hair peeked out beneath the hat that covered his rescuer’s head. The collar of her dark blue flight jacket was turned up. Kaj ignored her question. “How’d you end up in the alley?” he asked. “And being the resourceful person that I am, I followed them.” Crimson guided the landspeeder down a side street and out of the flow of traffic. Office buildings gave way to dilapidated warehouses, and the air was thick with the smells of the nearby seaport. A heavy mist enshrouded the area. Crimson glanced at her partner. She knew what was coming. And she knew she wasn’t going to like it. “You can’t be serious,” she sighed. Kaj wondered how she could be sure of this, but remained silent. Crimson exhaled loudly but said nothing as she kicked the speeder back in gear. A few moments later they pulled up to the Dyjillan Landing Strip, where they’d berthed their ship, the Starlight Red. The battered YT-1300 freighter, once called the Faceted, was heavily modified, complete with a wide variety of non-sanctioned weapons and sensor attachments. It would be an asset to the Alliance—if the two smugglers could locate them. The Jardansen building was not the norm for Imperial prison complexes. The modest-sized plastone structure, with three floors and an inordinate number of windows, had once been a factory for the production of sabacc decks and other card games. The Empire had never taken much notice of Angjon, but an increase in Rebel activities was motive enough for posting small detachments on this world and others known to harbor smugglers who, oftentimes, didn’t care who paid their wages. 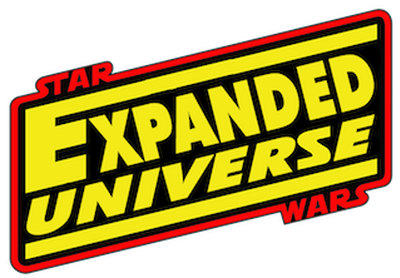 Rather than wasting credits on unnecessary construction, the Imperials had simply annexed existing buildings for their own purposes and moved right in. The Jardansen Corporation had been among the first to go. Crimson scoffed. The more she thought about this idea, the less she liked it. “Looks like only the first floor is being used. From here, I’d guess at least fifty prisoners in individual cells. No idea which one of them is Raider, though,” he added. Kaj bent down and removed his helmet. His face beamed. “My thought, exactly.” He leaned over and kissed her full on the lips. “Wha—?” she stammered as Kaj hurried down the ladder. Recovering from her surprise, Crimson put on her helmet and scampered after him. “The prisoners are escaping, sir,” Kaj reported. “What?” the officer half-shouted as he jumped to his feet. “That’s because it hasn’t started yet,” Kaj said as he pulled his blaster rifle and burned a hole into the stormtrooper’s armor. Before the other Imperials could react, Crimson swung her rifle up. She loosed a barrage of gunfire, catching the captain and two of his guards with blasts that sent them careening backward into the wall. Kaj hammered the second officer and the other guard, then jumped for the control panel. Taking a moment to rip his helmet off and draw in a deep breath of unrecycled air, he found the controls for the detention block and released all the cell doors. “Come on!” he shouted. Kaj and Crimson sprinted for the adjoining corridor, jumping over the bodies of two stormtroopers, their white armor streaked with blackened blasts. They dashed into the cellblock amidst utter mayhem. Freed prisoners pounced on startled guards and wrestled them for weapons. Kaj let out a war cry and headed toward the nearest guard, his blaster rifle poised to strike. Crimson quickly scanned the second level walkway. No sign of other guards... yet. Grasping her weapon tightly, she sprinted to catch up with her partner. Slipping through a prisoner’s grasp, one stormtrooper sounded a general alarm and headed toward the stairs. A half-dozen prisoners bolted after him. He was caught halfway up the stairs and ungracefully tossed over the side to the ferrocrete below. Surprise, enthusiasm, and sheer numbers were on the side of the prisoners, and within moments, most of the guards were subdued. The inmates darted toward the exit, grabbing the fallen troopers’ weapons. Kaj was about to speak when a blast struck the wall right above his head. He whipped back in the direction of the shot. Three of the prisoners were shooting at him! Another shot scorched the ferrocrete directly behind Crimson, and the smugglers began to raise their weapons in defense. Suddenly, a barrage of blaster shots rained down on the confusion from the second level walkway. Two of the prisoners with weapons collapsed a few meters from Kaj, barely a heartbeat away from killing him themselves. Crimson hammered away at the sea of white armor above them. A shot fired from somewhere in the room singed the faceplate of her helmet. She pulled it off, tossed it aside, and blasted another guard. “Stang,” Kaj yelled, firing randomly at the stormtroopers on the second level. “Well, I think we know where all the other guards are now!” Crimson shouted. Kaj held his fire, but a well-aimed shot from above caught him in the shoulder. Cursing, he fell back against the wall, hitting it with a thud. Shakily, saying nothing, Crimson let Raider lead the way. They raced back through the guard post, hurdling fallen bodies. She looked back to see if they were being followed, but the occupied troops hadn’t noticed their retreat. Outside the building, they weaved through a group of alarmed passersby. Kaj sprinted past their companion, skirted through a nearby alleyway, and turned into a darkened garage, where their landspeeder was parked. Without waiting to be invited, Raider jumped into the driver’s seat. Kaj shrugged, climbed into the passenger’s side, and offered a hand to Crimson. She barely made it aboard the speeder as it accelerated too quickly for the compensators to adapt. Kaj let out an uncharacteristic gasp as she fell awkwardly into his lap, slamming into his injured shoulder. Raider turned to her and removed his hood. His long, fiery hair was matted and coarse, the hair on his face the same shade of red. She knew that face and hair well, as though they were her very own. “He doesn’t look dead to me,” Kaj offered. “I left Galaxy Tours and hooked up with Kaj a couple of years ago,” Crimson told her brother. “We weren’t sent by the Alliance to watch your back, Raine,” Kaj interrupted. “We need the work,” Crimson said. “Trouble with the Empire?” Raider asked as he turned down the dimly lit road toward the spaceport. Crimson glanced up as her clean-shaven brother strolled into the Starlight Red’s crew lounge. “That’s the man I remember.” She winked. Raider turned to the tray-carrying protocol droid. Similar to the standard 3PO model, it had enough differences from that design—particularly its greenish tint—to mark it as being from the THR series. The voice, however, pleasant and yet possessing a rather aristocratic air, confirmed that the two series were related. “No thanks, U-THR. Maybe later. I’ll need my head clear for the job ahead. We all will.” He looked pointedly at Kaj, who had lifted his mug back up to his lips. Kaj stopped in mid-swig, then pretended not to have heard the comment as he downed the remainder of his mug and signaled for the droid to give him a refill. “Oh, how dreadful!” the droid said. “And?” Raider fixed his gaze on Crimson. “The commitments you’ve avoided,” Raider added bluntly. Kaj reached across the table and took her hand. “It’s okay, Crimson,” he said softly. “I know. This must be a bit of a shock,” Raider conceded. For a long moment, no one said a word. Even Uthre seemed to be going out of his way to avoid eye contact with the others. Finally, Kaj slapped a hand across his knee. “So Raider—you think you might be able to put us to work?” he asked. The bartender at the CardSafe happily obliged the smugglers with the address of Raider’s original cargo hauler. Two hundred credits poorer, Crimson, her brother, and Kaj whipped down a residential street in their XP-38. High-rise structures connected aboveground by covered walkways smothered the district, suffocating it in gloomy shadows. The pilot’s apartment was unpretentious and sparsely decorated, aside from a plastone statue of Emperor Palpatine, a classic image of the shriveled monarch benevolently bestowing his New Order upon the galaxy. Crimson raised an eye at the statue, surprised to see such an item in the home of a Rebel. She wasn’t sure what Raider was looking for, but the sharp focus of his eyes as they scanned the room told her volumes about his expertise as a Rebel operative. With a vigilance originally bred through service to the Empire, he checked the entire apartment for clues as to the whereabouts of the cargo, but the search proved fruitless. Exhaling loudly, hands opening and closing as though needing to stay active, Raider picked up the statue of Palpatine and idly read the inscription at the bottom: “From Chaos, Order. From Decadence, Control. From Corruption, Purity.” He laughed coldly. “To think that our family—that I—bought into this twisted rhetoric.” Turning, he hurled the statue to the floor, where it cracked in half with a satisfying crash. A smile crept across Raider’s face. Following his gaze, Crimson and Kaj found themselves smiling as well. On the floor, amidst plastone dust and the jagged halves of the statue, a metal object shined. A small key cylinder with a hexagonal base and smooth rounded top. And scratched in crude lettering on the cylinder—an address. Crimson tromped up to the only door she hadn’t tried to open at the darkened warehouse. It was only a meter high, more suitable an entrance for a Jawa than for a human. The cylinder’s hexagonal end slid smoothly into the lock. Wouldn’t you know it? A slight smile washed across her face when the lock clicked. Nodding inconspicuously to the skiff parked a block away, she shoved open the door. On the wall just inside the warehouse, Crimson located the lights and an adjacent control panel which opened a pair of huge double doors. Their recent string of luck seemed uncanny. Somehow, things were falling into place a bit too easily. A sudden chill wracked her body as the skiff pulled in to the cavernous room. Her eyes drifted toward the ceiling. Mounted security cameras! Floodlights filled the room with blinding luminescence. Half-blinded by the floodlights, Kaj remained still as two stormtroopers stepped toward him. Raider, partially obscured by the skiff, kept his weapon out of sight. Kaj dove for cover as Raider swung the A280 around in one fluid movement, his finger melding with the trigger. One stormtrooper pulled off a well-aimed shot before Raider blew him away. Wincing, Raider ignored the burnt, swollen patch on his arm and fired at the second guard. His shot went wide. Another laser blast streaked across the room from the door. Crimson’s blaster found its mark. “You two all right?” Raider asked. Crimson trotted toward her companions. She helped Kaj back to his feet. “We’re fine, but those stormtroopers were waiting for us,” she said. “I told you the Empire would be looking for this cargo,” Raider replied, scrutinizing the room. Kaj shot a look in the direction she was pointing and swore at the sight of a squad of troops running toward their freighter. “And TIEs screaming in from port,” Crimson added. “Understood,” Raider’s voice transmitted back from the cargo hold. “Right,” Crimson replied, unstrapping herself. Crimson jumped from her chair, backhanded the comm panel to silence the voice, and hit the deck running for the upper gun turret. Strapping herself in, she waved to her brother below her. She smiled and turned her attention to her targeting computer as the ship escaped Angjon’s atmosphere. The freighter rocked as the TIEs screeched deftly past, lasers blazing. Kaj throttled the Starlight Red around, giving Crimson and Raider clear shots at their attackers. As Raider sprinted down a corridor toward the bay, the Starlight Red shook hard. Explosions sounded from both sides of the ship. Sensors on Crimson’s targeting equipment told her that the TIEs had taken flanking positions. With a suddenness that most sensible engineers would have deemed impossible for a ship of its class, the Red spun and turned on its axis, coming about 180 degrees with barely a decrease in speed. Klaxons wailed and steam fittings burst from the strain, a deep moan emanating from bulkheads never designed for such a maneuver. But the ship held together, thanks to modifications made by its previous owner. Fighting back nausea as stars whipped by at dizzying speed, Crimson found herself facing both attacking ships. From the delay in their response, she recognized the stunned confusion of the pilots as they tried to locate their prey again. For one TIE, the delay was fatal. Staccato bursts from the Red’s upper gun turret reduced the fighter to space dust. The other ship stayed out of her targeting cone, dancing around the freighter like a frenzied Wistie. “All right,” she answered non-confidently, hoping he knew what he was doing. For a moment, it seemed to Crimson as though nothing had happened, but suddenly her sensors picked up the trail of an object off to port, apparently coming from the Starlight Red itself. The freighter spun around, placing the object between the two ships, then came to a full stop. Crimson’s heart did the same. 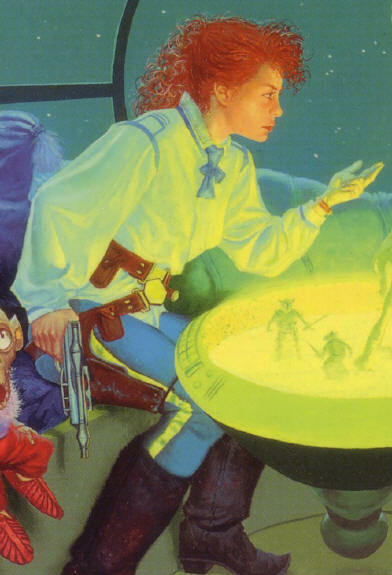 What in space are you doing, Kaj? We’re dead mynocks, sitting here like this! Seeing an opening, the TIE turned to make a final strafing run at its elusive prey. You’d better be right about this, Kaj. 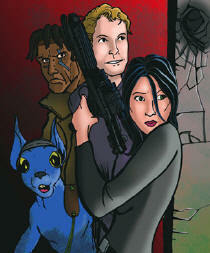 As the TIE bore down on them, Crimson locked the slowly floating object in her sights, then opened fire. A brilliant explosion filled space before her, forcing her to shield her eyes with her hands. Looking back a moment later, she watched the TIE fly directly into the explosion. The starfighter erupted in a secondary detonation that was no match for the first, but was decidedly more satisfying to the occupants of the Starlight Red. Crimson laughed, the first real laughter she’d enjoyed in weeks, due largely, she knew, to the relief of surviving the past few days. Raider groaned and tipped back his mug, downing the contents in one long, smooth draught. “You know, Kaj, somehow your sense of humor seems so much better to me after I’ve doused myself in raava. Now, I wonder why that would be?” He winked at the smuggler, then signaled to U-THR for another refill. Capsule: Celia "Crimson" Durasha was the only daughter of Reise Durasha, a commander in the Imperial army. Crimson’s four brothers all served the Empire, a career that Crimson would have entered had it not been for her father’s objections. Determined to make her living among the stars, Crimson became a navigator for Galaxy Tours and served with distinction aboard two of its cruise liners. Then one day her life changed drastically: she learned her twin brother Raine had been killed by Rebels on the planet Ralltiir; and her best friend, Kaileel, was arrested for supplying guns and information to the Alliance. Despite her bitterness toward the Rebels, Crimson tried to help Kaileel escape from Imperial hands. Unfortunately, Kaileel was shot during the escape attempt. Crimson avoided arrest by fleeing to the Oasis, a smuggler haven located within the Maelstrom Nebula. With an Imperial price on her head, Crimson needed a refuge, not only from those pursuing her, but also from the conflicting emotions she felt about the Empire—who had just murdered her closest friend and destroyed the world of Alderaan—and the Rebels—who had killed her brother. Scared, confused and bitter, Crimson was unwilling and unable to commit to either side. She chose to ignore making any decision, hoping to blot out her painful memories. It was in the Oasis that Crimson stowed away on smuggler Kaj Nedmak's freighter. When he discovered her, she made a deal with him to work off her passage. Kaj took a liking to the young woman and was impressed enough by her abilities to offer her a permanent position as his co-pilot. They have been working together about two years, barely staying ahead of the debt that Kaj’s fondness for sabacc got them in. Her growing fondness for him makes her overlook his crazy schemes for earning credits to keep their ship afloat; more importantly, he’s given her a reason to trust again. 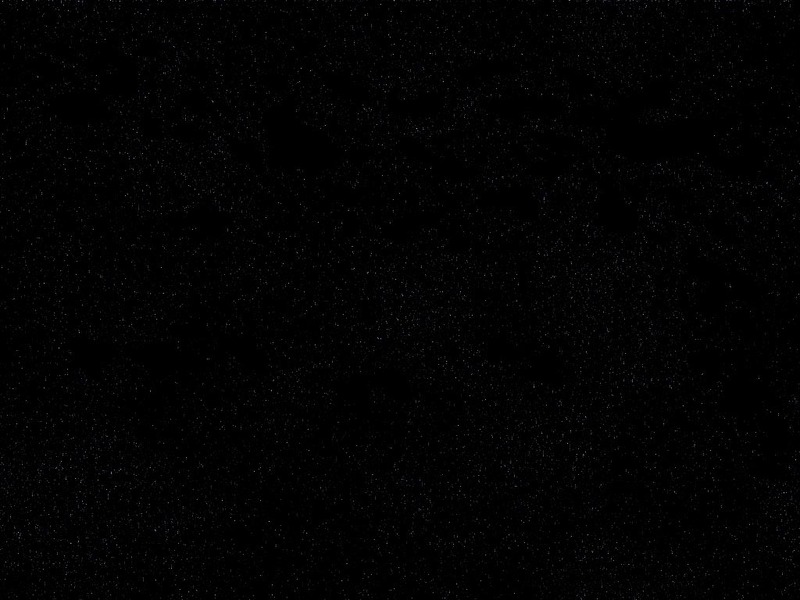 Capsule: Raine Durasha was always known as ‘the quiet one.’ He was the youngest of three brothers and always seemed to follow in their shadows. Raine was the observer, the mediator. Unlike Jak and Bern, he wasn’t competitive, whether at sports or academics. But he was the hardest worker of the three and never failed to do the best job possible, whatever the task. Following the Durasha tradition, Raine joined the army at age 18 because his father expected that of all his sons. They were groomed from birth for service to the Empire. He surprised his father by excelling at Raithal Academy, earning the highest honors upon graduation. But his superiors felt he wasn’t suited to lead troops, so Raine became a foot soldier. Stationed on three different worlds—Janara III, H’Atanman, and Ralltiir—over a six-year period, he saw every atrocity possible committed by the Empire. All the while, Raine kept his feelings well hidden, even from his twin sister, Celia. The two of them had practically been inseparable while growing up. They shared a bond that only twins might share. Once Raine left home, the twins stayed close by communicating as often as they could. Raine never mentioned his growing disillusionment with the Empire. He’d already been considering desertion when he was transferred to Ralltiir. The Rebel ambush there gave him the opportunity to disappear. Raine knew he could not sit by and watch the continued brutalities committed by the Empire. He sought out the Rebel Alliance on Ralltiir. Given the name “Raider” by the Empire, he went undercover and began working for the Rebels as an information broker and procurer of supplies. 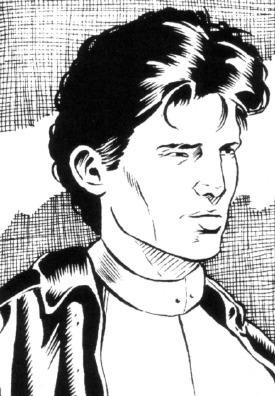 Capsule: Kaj Nedmak grew up on Drall, in the Corellian Sector. Orphaned at age 9, he stowed away aboard the freighter of Corellian smuggler Zevel Hortine, who took a liking to the boy and taught him the arts of smuggling and gambling. When he grew too old to continue in his profession, Hortine left Kaj, then 17, his ship and reputation. Kaj worked alone as a smuggler for 13 years, running guns and spice for Bwahl the Hutt, Moruth Doole, and others. A need for more work took him to the Oasis, a smuggler's den inside the Maelstrom Nebula, where he made several contacts and ran up a number of gambling debts. There, Kaj met Rass M’Guy, a kingpin in the criminal underworld, with whom he hit it off well. 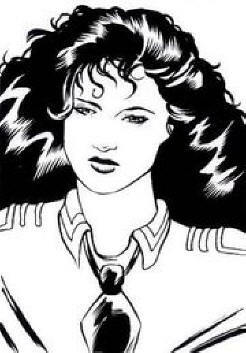 After leaving the Oasis, Kaj discovered a surprise in his cargo hold: a beautiful young woman. Obviously in some kind of trouble, she seemed frightened and alone. Taking pity on her, as Zevel had done for him, he let her work off her passage. In time, he and Crimson became friends, then partners, and eventually, lovers. A year after Kaj met Crimson, Bwahl hired him to run spice to distributors on Torque. However, in an effort to trap the Rebel base on Yavin IV, the Empire had blockaded the entire Gordian Reach, making travel to Torque impossible. Bwahl had the spice delivered by other means, and Kaj was never paid for his efforts. This was the beginning of a bad turn of luck for Kaj and Crimson, and a trip to the Wheel several months later proved disastrous. Hand after hand of sabaac he'd lost, amounting quite a debt he was unable to cover. Luckily, Rass was also at the Wheel, and he loaned Kaj the credits to survive, giving him a month for re-payment. When that month ended and Kaj's luck had yet to improve, it was time to try something risky. He accepted another job from Bwahl, running guns to Tammuz-an, but instead gave them to Rass to cover his debt. Rass took them as interest only, giving Kaj two more weeks to pay him the principal. Unfortunately, Kaj missed that deadline as well. To make matters worse, Bwahl discovered Kaj’s scheme and sent Thune, a deadly bounty hunter, after him. Crimson rescued him from the hunter, appropriating her ship in the process, but they knew freedom would be short-lived if they didn’t find a way to pay back both crimelords. Therefore, Kaj decided to work for the Rebellion as supply-runners. Reluctantly, Crimson agreed. However, as any Imperial knows, finding the Rebellion is not so easy to do. 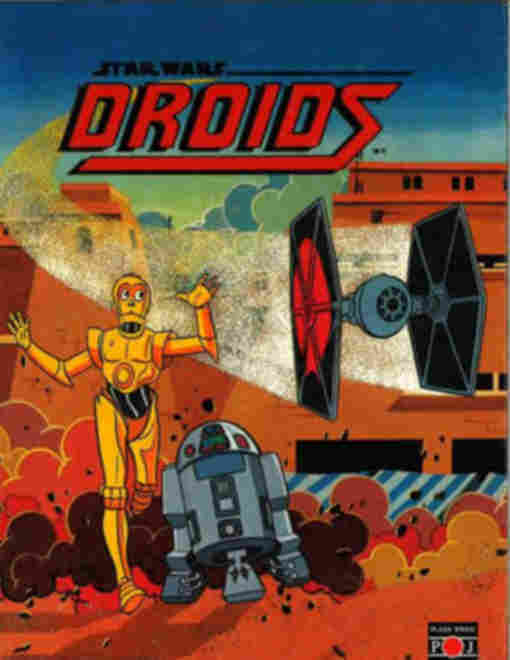 Life Preservation Programming: A droid's programming prevents it from injuring a sentient, even in self-defense. Capsule: If a droid had emotions, then U-THR's service to his first master, Alderaanian businessman Deckland Carper, could only be described as happy. Uthre always accompanied Carper on business trips offworld, not only serving as a companion on long space voyages, but also as an interpreter and databank, with millions of bits of information about the cultures and species Carper met. It was common on most of those trips for Carper to engage in holo-boardgames with the droid. When Carper was murdered by the bounty hunter Thune, Uthre became her property. He did not enjoy serving a master who displayed no ethics and killed without any remorse, but as a protocol droid, his primary programming required service without question. 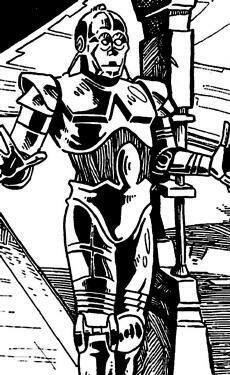 However, that did not prohibit the droid from constantly complaining about the unsavory tasks he was forced to do. Aboard Thune's freighter, the Faceted, Uthre's responsibilities included monitoring cockpit information and repair work. 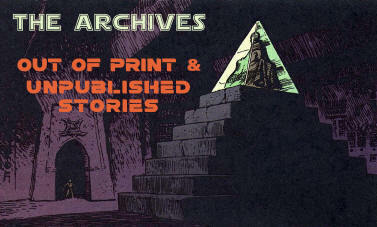 Thune also added records about other bounty hunters and their quarries to his databank. When smugglers Crimson Durasha and Kaj Nedmak escaped her clutches and stranded her on Junction, Uthre chose to enter into their service. Though their methods at times were not wholly ethical either, his new masters treated him like a living being and a friend. For the first time since leaving Carper’s employ, Uthre was happy again. A short interview with Charlene Newcomb & Rich Handley on "The Contact"
What year was this conceived/written? 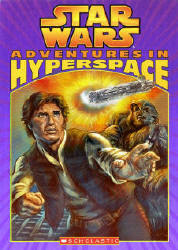 Rich: “Crimson Bounty” was published in 1997, and we were already talking about a sequel soon thereafter. “The Contact” was written in, I believe,1997 and 1998. As a team, how did you go about writing it? Was it the same way you wrote “Crimson Bounty”? Rich: Same way, yep. For each story, we discussed ahead of time what it would be about so that we had a general plot in mind. Then we took turns writing. One of us (I no longer recall who started it, but I think it may have been Char) wrote a section, then sent it to the other, who edited the first section and added section two. The first person then edited section two and added section three. And so forth. It went back and forth half a dozen times, and voila. Char: Probably more than a half dozen. :) I recall mentioning to Rich that I wanted to bring Crimson’s brother (see spoiler below if you dare!) back into the picture. Even at the time of writing “A Certain Point of View” I knew his ‘fate.’ Rich has captured the writing process--Word Perfect (agh!) files emailed back and forth, adding, editing, revising until we submitted to WEG. 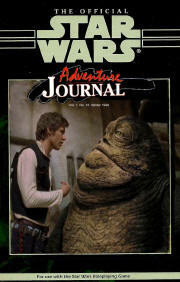 About what issue of the Adventure Journal was this intended for? Rich: We had hoped for it to appear in issue #15 or 16. I'm not sure what volume it would have been in. The editor, Peter Schweighofer, requested some changes to the story before he would publish it... and then West End Games lost the license, reportedly because WEG's parent company, a shoe importer called Bucci Retail Group, seriously mismanaged things (in fact, many of us among the freelancers were never paid for our work as a result). 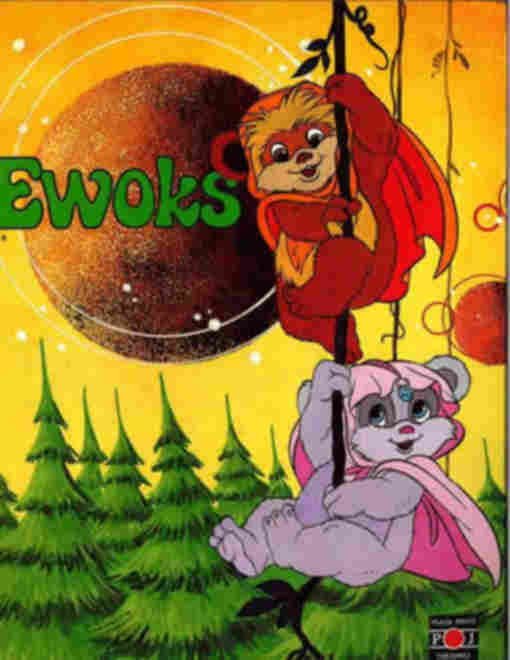 It was submitted to Star Wars Insider magazine at some point, but the magazine changed editorial hands a few times, and I guess the new editors didn't know about our story. We then just let it sit dormant on our hard drives for years. Char: Right. The contract didn’t give us a publication date. If I recall, a signed contract didn’t guarantee publication. What would have happened in future stories? Rich: We never got far in working out future stories' plots, but (SPOILER ALERT for anyone who hasn't yet read “The Contact”—I'm about to SPOIL the ending, so proceed no further unless you want to be SPOILED.... OK, you've been warned) we had planned for Crimson, Kaj, Crimson's brother, and Uthre to meet up with the Rebels at Hoth—hence, the “snow” dialogue at the end of “The Contact.” They would then have been part of the action in The Empire Strikes Back. One thing I had in mind for possible sequels was for Kaj Nedmak to be killed at some point. I dislike killing fun characters unnecessarily, and Kaj was fun to write, but it would have served the story in an important way. 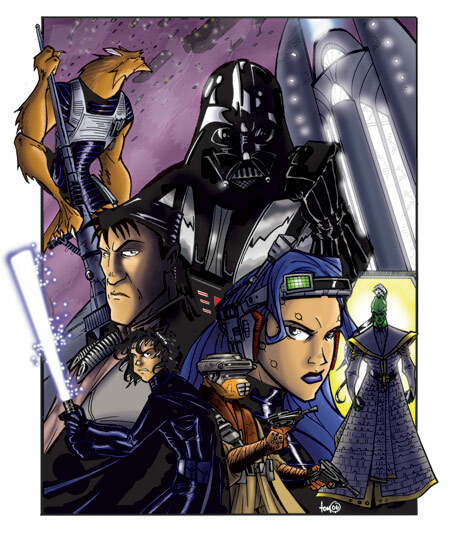 Crimson Durasha predated Kaj Nedmak in Star Wars lore, as Char had previously written about her in the story “A Certain Point of View” (Adventure Journal #8), and before that she'd appeared in “Crimson Jailbreak” (Adventure Journal #5). 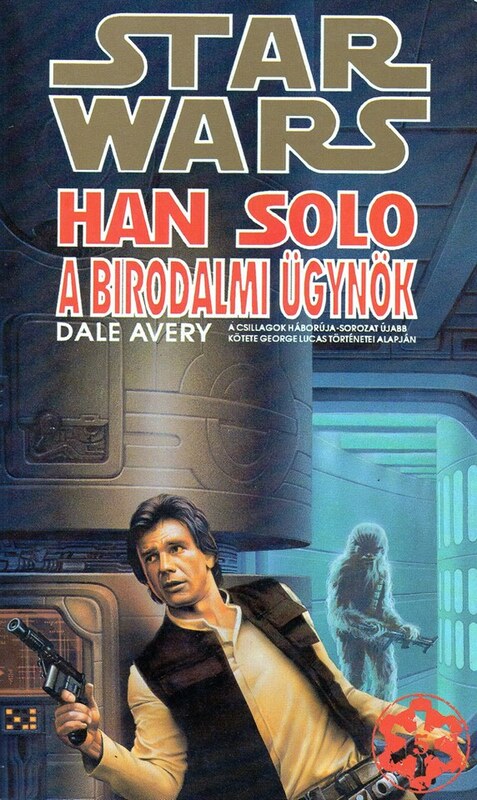 Kaj was introduced in “Crimson Bounty” (Adventure Journal #14) before appearing in Ann Crispin's Han Solo Trilogy (which, as the person who created Kaj, I can tell you thrilled me to no end). Therefore, these stories are really Crimson's tale, not Kaj's—he's part of her life, but she's the star. She has long pivoted on whether to hate the Empire or the Rebels, blaming them for her brother's death, but in “The Contact,” she finds out her brother is alive—and works for the Rebellion. 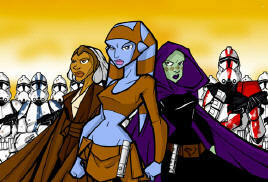 My thought was to eventually have the Imperials kill Kaj, pushing Crimson firmly into joining the Alliance. We might also have brought back the bounty hunter Thune, who debuted in “Crimson Bounty” before menacing Lando Calrissian and Lobot in “Lando Calrissian: Idiot's Array.” I've always had a fondness for this character and would have loved to revisit her for a third appearance. Char: Backing up just a bit - Pete S. didn’t hold me to anything established in “Crimson Jailbreak,” so I was free to shape Crimson’s story in SWAJ #8 with “A Certain Point of View.” My starting point was the cover of Riders of the Maelstrom: http://starwars.wikia.com/wiki/Riders_of_the_Maelstrom_(WEG). 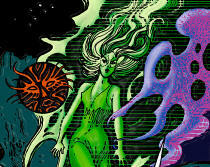 The sourcebook doesn’t identify the female or the aliens on the cover, but I used the luxury cruiser and the maelstrom. Those locations were great fodder so I incorporated them into my story. 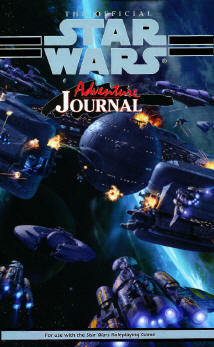 THE CONTACT is a short story written expressly for the Official Star Wars Adventure Journal. 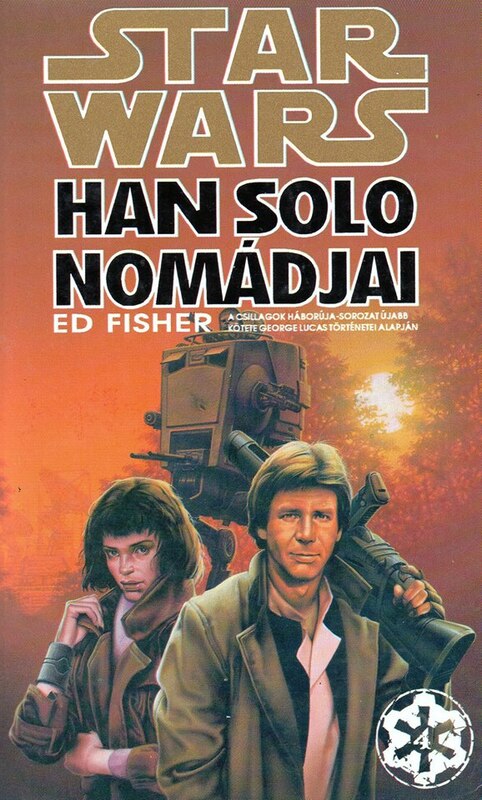 It is a stand-alone sequel to “A Certain Point of View” (SWAJ #8) and “Crimson Bounty” (SWAJ #14) and follows the adventures of smugglers Celia “Crimson” Durasha and Kaj Nedmak. Smuggler Kaj Nedmak realizes he’s been set-up when four stormtroopers appear in a darkened alley where he was supposed to make contact with a Rebel agent named Raider. A firefight ensues and Kaj is trapped. Luckily, his partner, Crimson Durasha, shows up—she had just discovered that Raider was arrested by the Imperials. Crimson helps take out the stormtroopers and the smugglers escape. Kaj suggests they free the Rebel from a local prison. 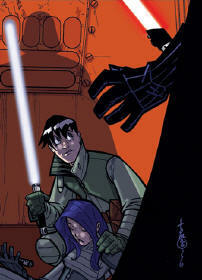 Crimson has no trust or love for the Rebels—her brother was reportedly killed by them at Ralltiir. Despite her reluctance, Kaj finally convinces her to go along with the plan. The next day, Kaj and Crimson stage a seemingly suicidal escape attempt at the prison disguised as stormtroopers. Freeing all the prisoners at once, they use the chaos to find Raider. 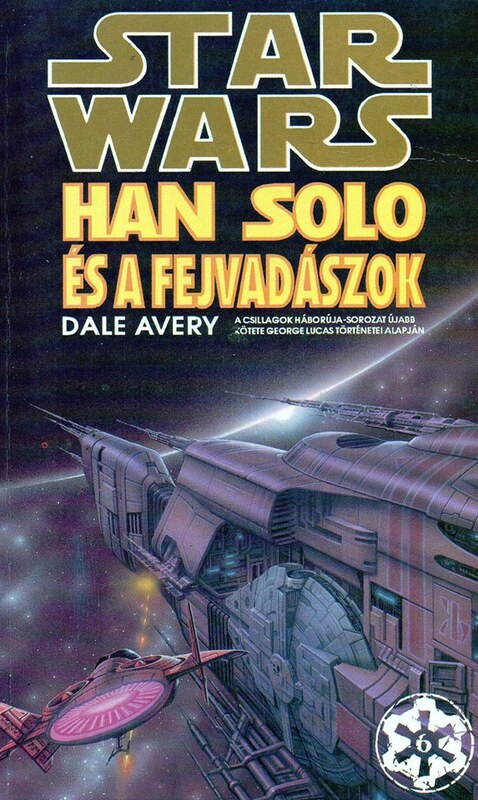 Kaj is shot in the shoulder, but the trio escape to a waiting landspeeder. However, Crimson is in for a shocking revelation—Raider is actually Raine Durasha, the twin brother she’d assumed was dead for the past two years; he’d actually deserted during the Ralltiir massacre and was pronounced dead. Now an important Rebel agent, he runs guns and supplies. He’d come to Angjon after his cargo hauler missed a rendezvous. Kaj and Crimson offer their ship and their services. Raider explains that the first step will be to find out what happened to the cargo his hauler was delivering to a secret Rebel base. They track down the pilot’s address, then scour his apartment for clues as to the whereabouts of the missing cargo. They initially find nothing, then discover, hidden inside a statue of Palpatine, a key cylinder with an address to an old warehouse. At the warehouse, they find the cargo but discover the Empire has set a trap. They blast the security cameras and realize they have very little time. Stormtroopers burst in. Raider and Crimson blast them. 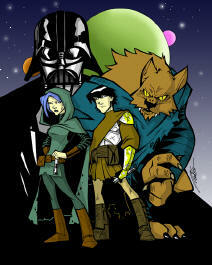 The smugglers bring the cargo to the Starlight Red, and blast off the planet, pursued by three TIE Fighters. With Kaj at the helm, Raider and Crimson take positions in the YT-1300's gun turrets. Raider takes out one TIE but another shoots his gun turret, shocking him and destroying the gun. Recovering, he runs to the cargo bay at Kaj’s request, leaving Crimson to deal with the remaining TIEs. The starfighters flank the Red, destroying both shield generators. Crimson manages to shoot one, but the other pilot is exceptional, evading her shots. As per Kaj’s plan, Raine launches a megonite charge out the top hatch airlock, which Crimson shoots and detonates, taking out the remaining TIE. Later, the trio celebrate their victory aboard the Red over a round of drinks. The mood is festive, the future bright, as they set out to deliver the cargo. Their destination—a snowy Rebel base, unspecified...which just might be the planet Hoth. Kaj is in an alley dimly lit by light from 2nd story windows. 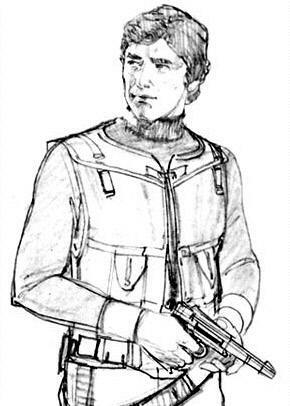 He’s dressed in typical smuggler garb and has a DL-44 drawn. Wedged in the shadows of a doorway, he’s shooting at 2 stormtroopers moving up the alleyway. The stormies are firing at him. Behind them, we can just make out the front end of an XP-38 that is roaring into the alley. The driver isn’t clearly visible though she is wearing a hat. There is a blaster perched atop the windshield. The driver is firing at the stormies, too. 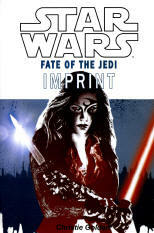 Crimson is crouching on the floor in a hallway of the prison, her blaster rifled ready. A man, dressed in an oversized dark robe (ala Ben Kenobi), leans over her. His hood covers his head, so we cannot see him. He’s above average in height. He is grasping Crimson’s arm to help her up. Crimson is looking up at the face, but doesn’t show any sign of recognition, just a thoughtful expression. In the background we can see the fallen bodies of Imperial stormtroopers, some prisoners, and cells with doors flung open. Raider, (dressed in typical smuggler garb—his hair is close-cropped and he’s clean-shaven—a masculine version of Crimson) partially obscured by a skiff, prepares to whip up a BlasTechA280 and fire on 2 stormtroopers who have surprised them. There are crates (one half-opened) lining the wall behind Raider. Kaj is standing on the opposite side of the skiff closer to the troopers. He is raising his hands as if to surrender. Crimson is sitting in the gun turret on the YT-1300. A TIE is bearing down on the freighter, but Crimson has just locked onto and fired at a floating object in her sights. There’s a brilliant explosion (she’s forced to shield her eyes with her hands). The TIE flies right into the explosion, unable to veer off in time, and erupts in a secondary explosion. Rich Handley was once a freelancer in Lucafilm's stable of fiction and non-fiction writers. He is the author or co-author of Watching Time: The Watchmen Chronology, Timeline of the Planet of the Apes, Lexicon of the Planet of the Apes,Back in Time: The Back to the Future Chronology, and A Matter of Time: The Back to the Future Lexicon. He has co-edited Titan Books' Planet of the Apes: Tales from the Forbidden Zone, as well as six Sequart essay anthologies about Battlestar Galactica, Planet of the Apes and Star Wars. Rich has contributed essays to DC Comics' Hellblazer: 30th Anniversary Celebration, IDW's five Star Trek and threeStar Wars comic-strip reprint editions; BOOM! Studios' four-volume Planet of the Apes Archive series; Sequart's New Life and New Civilizations: Exploring Star Trek Comics and The Cyberpunk Nexus: Exploring the Blade Runner Universe; ATB Publishing's Outside In series focused on Star Trek, Buffy the Vampire Slayer, andAngel; and Eaglemoss's Star Trek: The Graphic Novel Collection. In addition, he provided commentary for the War for the Planet of the Apes Blu-ray's behind-the-scenes specials, as well as the Back to the Future documentary Back in Time.